We're not playing when we say we have the freshest seafood around. 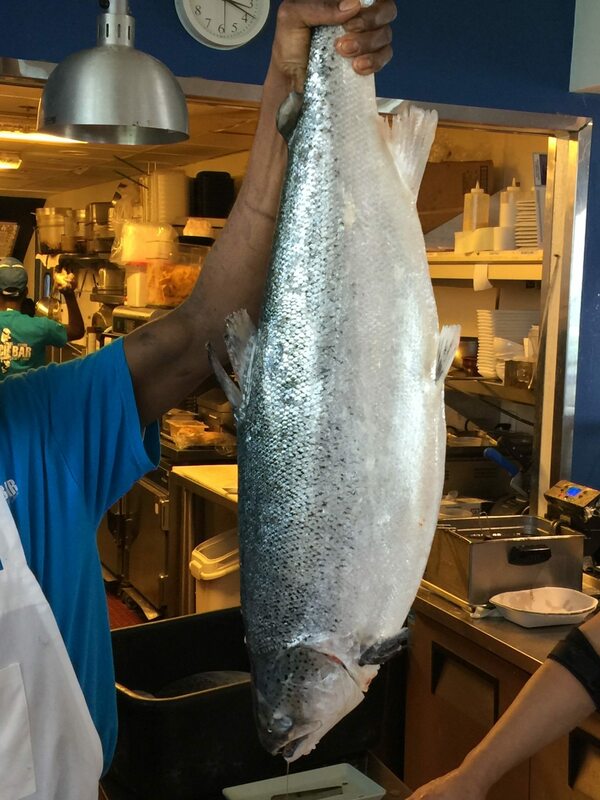 Take a look at this fresh salmon at the Beach bar @ Newport Pier. Fresh is better.